What is your role at EMRAmed? I work in quality assurance as the company's deputy head of quality management and specialist in pharmacovigilance. It is my job to look after the release of the raw materials used in the pharmaceuticals production process and the packaging material needed for production. My tasks include processing drug safety announcements, responding to pharmaceutical-related enquiries and coordinating the creation of new standard operating procedures. I am also in charge of carrying out internal audits. What do you like most about your job? What motivates you? My wide range of functions at the company means I am entrusted with all quality assurance-related tasks, so I get to be involved in lots of new and exciting projects. Why did you choose to work for EMRAmed? 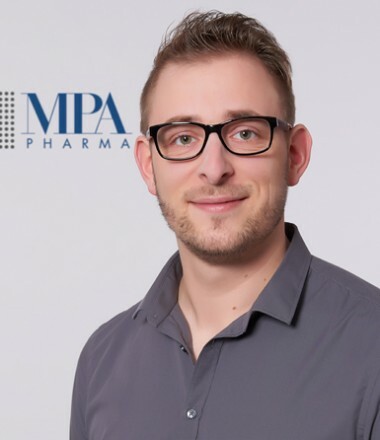 The colleagues I dealt with before taking the job were so friendly and open that I knew MPAPharma would be a welcoming, customer-oriented company whose employees feel at home. 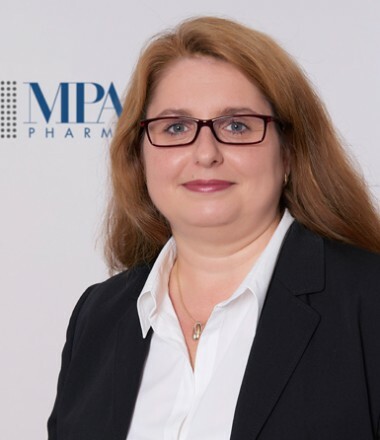 What is your role at MPA Pharma? As a versioning team leader, I coordinate all of the work flows in my department and look after the professional versioning of raw materials and the provision of reference samples of the finished products for Paranova. My day-to-day tasks include processing batch reports, managing samples, creating staff rotas and training up employees in versioning. I am incredibly motivated by the fact that I get to work with so many knowledgeable colleagues in different locations as part of my job, be it in quality assurance, shift and production management, production control, the lab or shipping. I am also the main point of contact for Paranova and Grafinova and spend a lot of time cooperating closely with our international colleagues. 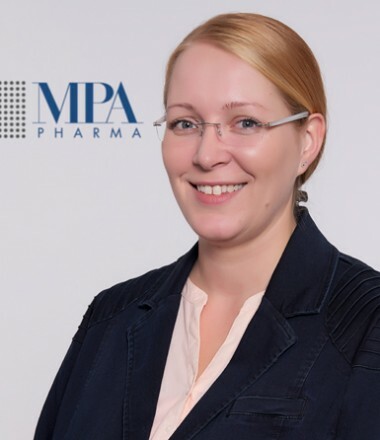 Why did you choose to work for MPA Pharma? Pharmaceuticals is a hugely promising industry and MPA Pharma is one of the region's biggest employers. This combination appealed to me and I would make exactly the same decision again. 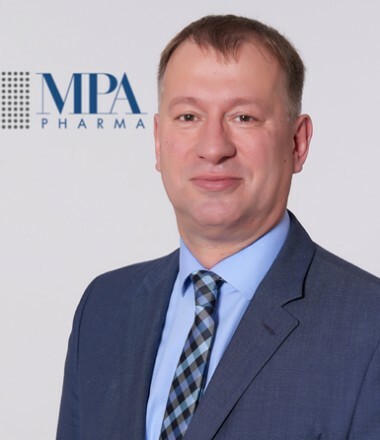 As a purchaser at MPA Pharma I am responsible for our supply relationship to Bulgaria and the Baltic countries. My main activities include a continuous exchange and personal meetings with existing suppliers as well as the search for potential new business partners. The optimization of our product portfolio, the analysis of offers and the negotiation of delivery conditions also belong to my tasks. In the daily work routine, the personal contact to people – specifically to our suppliers – motivates me. As international contacts are involved, the work is especially thrilling for me. Being a pharmaceutical re-importer, purchase is a significant success factor for us. I am happy to be able to contribute to the success of the company by my daily work in a great team. “International trade” was one of my main topics during my studies. Because of my tasks at MPA Pharma, I deal with this subject area every day. In addition, I am pleased to be responsible for the purchasing relationships to my home country Bulgaria, and to be able to use my mother tongue during my daily work routine. Being a mother it is also important for me to have found a workplace near my flat - at a cross-border trading company with its headquarters near Hamburg. As the operations manager for the Osterburg production facility I am in charge of operational control, production planning and organisation, and the management (both functional and in HR matters) of our around 400 employees who work on site. I am responsible for the smooth running of all production processes, complying with budgets and deadlines and for maintenance work and innovative ideas that help us to optimise our processes. Implementing good manufacturing practices is a particular priority for me. I enjoy the amount of diversity in my responsibilities and the complexity of the processes involved. Every day in my job is filled with new experiences and brings me into contact with many of my colleagues. After spending several years working in a corporate environment, I took the conscious decision to move to a medium-sized enterprise with flat hierarchies and efficient decision-making channels. I am particularly motivated by the independent working culture at MPA Pharma and its family-run leadership approach. We keep our promises! As the dispatch manager at our Trittau site in Germany, I am in charge of goods receipt and dispatch, warehouse logistics, the returns department and order picking. I am also MPA Pharma's safety officer and responsible for fire prevention measures. My job includes coordinating employees, creating staff rotas and providing training, as well as supervising trainees and coordinating logistics activities. My top priorities are to ensure that orders are delivered on time, that the highest quality standards are implemented, and that transactions are processed in line with good distribution practices. I really enjoy having such a diverse range of responsibilities. As a forward-looking company, we are constantly making changes and improvements. It never gets boring. MPA Pharma just really appealed to me and I am very happy here. I have been with the company for over a decade now and have seen a lot of changes take place. Keeping pace with the challenges has helped me to progress through the company. I feel valued and appreciated at MPA Pharma for my dedication. What is your role at Paranova? As CEO of Paranova’s country organisations I am accountable for the daily management and the delivery of our objectives in the Scandinavian markets. I also take care of people management and organisational development. My overall target is to collaborate with MPA Pharma to identify and release synergies as well as productivity in order to make the MPA Pharma group fit for the future and to stay market leading in an intensifying competitive environment. It really inspires me to see a vision come to life through the support of colleagues at all levels in the organisation. What motivates me is to come up with measurable results and clear progress in processes, changes for the better, collaboration and joint efforts as a team. I find it very encouraging to focus on strategic development of both: our people as well as on business issues in my daily work. Finally, most of my every day work at Paranova is non-standard and hence I am developing also myself managing all aspects of our complex business. Why did you choose to work for Paranova? Choosing to work for a pharmaceuticals manufacturer was something completely new and challenging to me, as I came from outside our industry. The chance to re-shape the organisation, to optimise the way we do business and deliver strong and sustainable results attracts and reconfirms me day-to-day that I took the right decision.